Galaxy S6 won’t charge? Fix a Samsung Galaxy S6 that won’t charge: The Samsung Galaxy S6 is a smartphone. One of the most robust and most beautifully designed smartphones on the market. However, that does not mean that the S6 does not have its fair share of glitches. This guide teaches you what to do when your Samsung Galaxy S6 does not charge or turn on. Many Galaxy S6 users face Galaxy S6 slow charge issues. Furthermore, sometimes the S6 does not charge at all. Does this sound like problems you face? Then, let’s take you through the various fixes! Today, in the next few minutes, you learn about possible solutions to fix a Samsung Galaxy S6 that won’t charge. Before you move on, if it is that you experience fast draining battery life, then this article provides fixes. If your S6 does not charge then, continue reading. Here are the sections of this tutorial, select the one that applies to you. Have you checked your wall sockets? Firstly, don’t charge your S6 near water or in excessively hot or humid conditions. Also, do not overcharge your S6. Overburdening occurs while charging overnight. Your Galaxy S6 battery typically only needs two or three hours of charge. Overnight charging leads to a battery exploding or damaging your S6. Your device has a cut-off switch for your battery, but sometimes this kill switch does not work. Always make sure that you charge your phone for no more than the amount of time required. Moreover, if you replace your Galaxy S6 charger or cable, be careful. Many cheap third-party chargers go bang in the middle of the night or turned smartphones into toast. As with any electrical equipment, make sure that anything you buy complies with all the relevant safety standards. Furthermore, many companies recommend that you let the device charge without use. To use your device while charging reduces the lifespan of your battery. Now, let’s get on with the tips and troubleshooting guide! Note that as of 2007, you can use any charger or adapter with any smartphone made after that year. You can read more about it here. Does your charger deliver the right charge frequency? Additionally, check that it is the right charger. A charger from another device might not provide the right amount of power. Now, unofficial chargers may charge the Galaxy S6, but your battery may drain faster due to improper voltage. Moreover, this type of charging leads to poor battery performance on any smartphone. For example, a charger for a Bluetooth headset will not put out as much power as one designed specifically for smartphones. In the case of the Galaxy S6, use a Galaxy S6 fast charger for best results. Samsung Galaxy S6 will not charge? As a rule of thumb, allow your Galaxy S6 to charge for about 30 minutes. Do this before you attempt to use the S6. Change the wall socket and use the cable and charger on a different device to make sure there are no faults with the charging apparatus. Try a different charger and cable with the same voltage rating. Note: Charging from a wall socket always charges faster than via PC or laptop. Most computers’ USB ports do not deliver very much power. A wall outlet produces twice the power than that of a USB port. In the case of fast chargers, it gives as much as five times the power — which means much, much more quickly recharging. Try plugging the S6 into a USB port on your PC or laptop. Although, it will load much more slowly using the USB port than from the charger connected to the wall. Phone Companion displays the amount of charge your Galaxy S6 receives. Also, Phone Companion details available space (both internally and externally). Phone Companion also allows you to import photos, videos, and more. It is a friendly interface. So, check out Phone Companion if you are on Windows 10. Moreover, download the correct Samsung Galaxy S6 USB drivers to ensure seamless connections. Inspect the Galaxy S6 charging port. Is the charging port choked up with dust & debris? Yes? Often, a simple glance reveals nothing. With a can of compressed air, blow out the offending irritants and get your USB connection back to normal. If you do not have access to can air, then blow (not spit) into the charging port. Do you know what one of the quickest, easiest, and often most successful solutions? A little DIY repair on your Galaxy S6 hardware. The metallic surfaces inside the USB port, and the microUSB charger does not make proper contact. Through a manufacturer defect or because of the continual plugging and unplugging of the charging cable caused a severed connection. Remove the battery and use something small. Try a toothpick. Lever up the little tab inside the USB port on your Galaxy S6. Do so very carefully and gently, then reinsert your battery (if you had to remove) and plug it in again. Nine times out of 10, cleaning the USB port resolves charging issues. There are a few other things that you can try if you still need help. Click through for more. However, first, see the video for charging port repairs. You can buy a replacement Galaxy S6 charging port and fix it yourself. 254Repair Killeen: Galaxy S6 Edge charging port repair/replacement done step by step with multiple cameras. You can get a charging port here. Software updates and new Android versions can play havoc with your battery life. This effect occurs when upgrading an old device to current software. Newer smartphones oft take advantage of the latest OS. Highly optimized, bigger cells and pre-optimized hardware. However, a two-year-old smartphone struggles when it makes the jump from behind the pack. Similarly, the Galaxy S6 battery life significantly improves after some updates. Does your Android software version require an upgrade? Head to the ‘about device’ page in your settings and check for an update or do so via Samsung Kies. Using battery intensive apps/features while you are charging your device will affect how fast it gains battery life. Do you charge your Galaxy S6 while Skyping? In this case, the Galaxy S6 naturally takes longer to load. The Galaxy S6 battery loads faster, when locked with Wi-Fi and 4G, turned off. Switch the Galaxy S6 into airplane mode, or off completely. Turning the Galaxy S6 off during charging produces the fastest energy boost. If it still isn’t working, then try a replacement battery. Also, inspect the USB dock. Ensure that you do not have a broken charging port. Samsung Galaxy S6 not charging? If, at the end of this tutorial, you cannot repair your Galaxy S6 charging problem, contact your retailer. Furthermore, your carrier or Samsung can also give advice. If you are out of warranty, then you can try buying a replacement charger or even replace the charging port. Don’t know what you are doing? To troubleshoot a Galaxy S6 that is not charging, probably best to take the device to a professional. Have the technician do the repairs for you. If you are interested, check out affordable citrix xendesktop pricing powered by Apps4Rent. Thanks for reading this how to fix a Samsung Galaxy S6 that won’t charge tutorial. If you found the information useful, then please share it with your friends. A replacement charger did it for me. 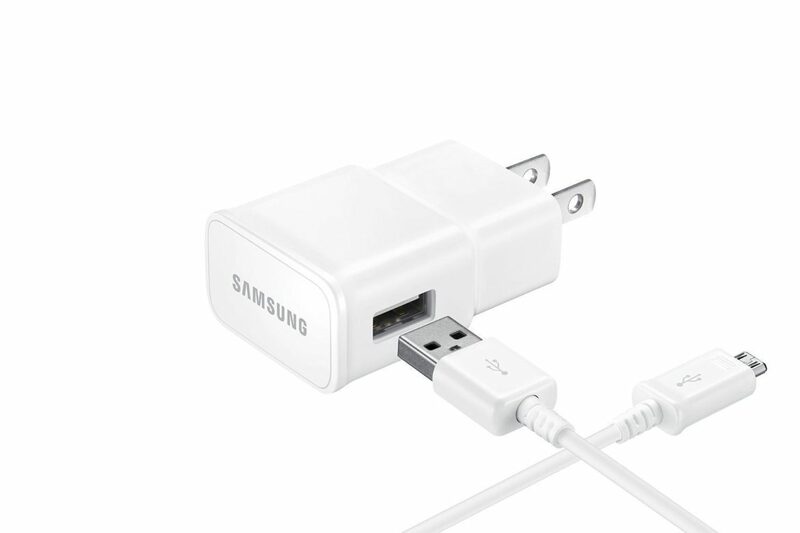 I think this is the 3rd Galaxy S6 charger that I’ve bought! Thanks, i had to clear out the charging port on both the charge and the phone itself. 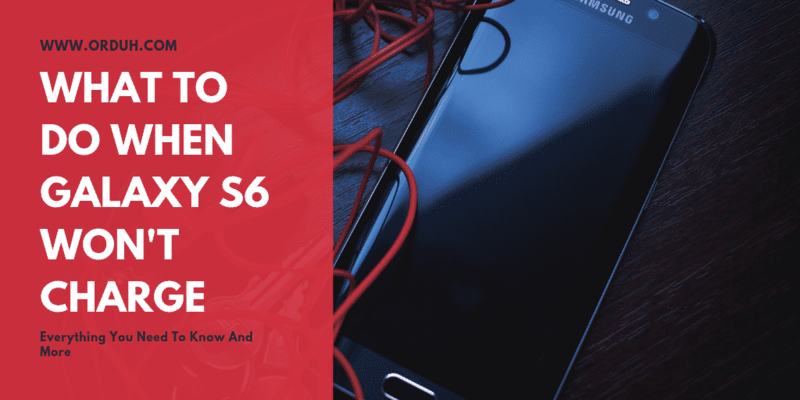 samsung galaxy s6 edge won’t charge and I was a bit hesitant to try these tips as the title says that they are for the S6 but I got my S6 Edge to charge! Thanks! Good thing that you did. The tips in this tutorial work for a Samsung Galaxy S6 Edge that won’t charge as well. Thanks for your feedback. My s6 not charging was a headache all in itself. I bought one of those wireless charge pads and now it charges like normal. That’s great! The best part is that your new wireless charge pad might be able to charge more than just your Galaxy S6. MY S6 edge is a few months old and the charger port is damaged . I’ve been asked to Pay R980 to have it repaired . your comments will be appreciated . Hey Viren, is that 980 ZAR? If it is that’s about 60 USD, I think that’s a bit expensive to do simple replacement. Does the price include the replacement part as well? If so then it’s a good deal. If you have to buy the part yourself and still pay 980 then no, find someone else if you can. I did NOT expect to face any samsung galaxy s6 charging problems… but a few days ago my S6 just stopped charging! I’ve tried everything and Samsung told me that I probably had a faulty battery. I read through your tips and it turns out that the real problem was my Galaxy S6’s charging port -_-. You saved me a pretty penny! Glad that you got your S6 to charge again. Thanks for your feedback! 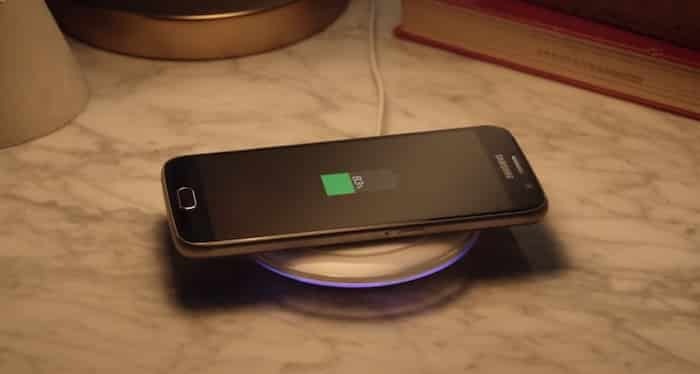 I attempted to use a wireless charger with Galaxy S6 active. It didn’t work. I thought perhaps that the it was because of megnetic plate that I have on the back to that affixes to my Vano car mount. During the attempt nothing happened. Phone worked fine it just didn’t charge. Later my phone’s battery went to,low and I plugged it in to my wired charger cord. However, it wouldn’t charge. It quickly went to 0% then shut off. No matter what charge I plug into my phone it will charge. Please help. I have a ton of passwords and logins and notes that I haven’t backed up. Most of the other stuff pics, contacts etc… are, but not my password app. Can a new battery be used just at least to transfer and backup the memory on a cloud or another device? I’ve worked in the telecommunications industry for 12 years, mine was an issue with the charging port. Purchasing a charging plate has resolved the issue and it now charges. My network that supplied the device said that I had invalidated the manufacturers warranty because it had a hairline cracking into the top left of the screen. (I have no idea why that would affect the charging port). BTW it did charge perfectly after the hairline cracking for 9 months. Thanks for sharing your experience. I hope it helps others as well. This is because of the latest Marshmallow update. If you turn off your phone, and then turn on your phone in ‘safe mode’ it will charge fine. There is a glitch that makes your phone think that it’s supposed to be charging another device via the micro-usb. You will lose some functionality, but, you can still make and receive calls, texts, emails etc. Power down your phone, turn it back on while holding the ‘volume down’ button. When the screen comes back to normal you will see a small icon in the lower left hand side that says SAFE MODE. Samsung and Verizon are aware…..though it seems that they are waiting for the new Nougat operating system to come out. Such a pain. My S6 has recently today stopped charging through the mains, although when I plug the usb cable into my laptop it begins to charge again. Can anyone help me with this? I’m just wondering why I cannot get it to charge any other way and only through the laptop? I have tried several different plugs but still doesn’t work. Anyone else had this problem? I am having the same exact problem. I am trying to find a solution before sending it in. Did your problem get fixed? Me to. It occurred immediately after an unauthorised download attempt. Screen said “do not turn off target” then froze. I followed online guidance to reboot and all was well until I went to charge. Note that although it charges slowly from the laptop, I get a warning that the device has malfunctioned and Windows doesn’t recognise it. It also charges from the wireless charger perfectly well. I have done the factory reset to no avail and tried charging it in safe mode but that didn’t help either. Have you tried installing the correct Samsung Galaxy S6 USB drivers on your computer? I have the same problem, did you ever find a solution? Im having the same issue… I’m planning to buy a wireless charger for now but still need to somehow fix issue. Mine just shows the little lightning bolt, and doesnt charge at all why? inductive charger . The same thing happened to me and an inductive charger did the trick. Thanks for the tip Shawn. I’m sure it’ll help out some of our readers! I have a galaxy s6 and last night I put it on the charger and the battery with the lightening bolt so I turned it on but when I goes to the main screen it says “battery critically low” then shuts down. Please help. I had this problem. It was fixed by booting into Android Recovery mode and selecting “Power Off”. I did this after trying all the other trouble-shooting trips. I have a galaxy s6 and last night I put it on the charger and the battery with the lightening bolt so I turned it on but when I goes to the main screen it says “battery critically low” then shuts down. Please help. It’s only 2 months old. The problem I thought from electricity fluctuations when u change the electric source it will stop charging. I will be crazy. Same deal. The tip about the USB charge was good. Looks like it is now trying to charge. Very expensive phone, have had it only a few months. Sad. Sorry to hear that you’re having problems charging your Galaxy S6. Have you tried taking it in to a repair shop or to your carrier.If all else fails, this is a good thing to do. I have the same problems. I’ll put my phone on the original charger that came with the phone, the lightning bolt will pop up then I’ll come back to it being 0%. I tried another charger for my old phone it only works sometimes but I’ve found recently when I plug it up to my Xbox it will charge but only with the original white cord. You’ll know its charging when the green dot appears under the lightning bolt or when the lightening bolt appears then it switches to the pic of a battery with a # percentage, just let it charge. Thanks for your comment Richard. why wont my galaxy s6 charge? Is a common problem faced by many users. Hopefully, your tips will come in handy to someone facing samsung galaxy s6 charging problems. I had the same problem with my galaxy s6 did not charge. I bought a wireless charger and now it is working. I am so glad. That’s great! I’m glad that you were able to resolve the problem. My Samsung Galaxy s6 won’t charge and it keeps restarting and shutting down on its own! Try to factory reset the Galaxy S6. Thanks for your comment. I have a s6 and it says 0% and battery critically low when its on charge help! why won’t my s6 charge? I’ve had Samsung Galaxy S6 charging problems ever since I bought this device! Perhaps you should have taken it back to the store. I mean, seeing that you’ve had charging issues from the start! same here… any actual advice for a fix?? Please take your device to a repair shop for further assistance. I’m on my fourth charger. It had been charging fine the past several days. Until tonight — when I attempted to connect the cable to my computer to download pics/vids — and it wouldn’t connect. Then, I removed the cable from the computer and simply attempted to charge it in a wall outlet — and it won’t recognize it being connected — therefore. no charging! I have never owned a phone that has caused me so many issues with charging — and buying a new cable every few weeks is beginning to add up. Yes, apparently the Samsung galaxy s6 charging problems affect many users. I’m sorry that you’ve had a bad experience and that galaxy s6 stopped charging. If you have tried all the tips outlined in this guide then perhaps its best to take the device to a repair shop. Thanks for your feedback! I have an S6 that won’t charge at all, I’ve tried different chargers, different wall sockets, and a wireless charger to no avail. When I plug it in the battery symbol will come up but after 7 seconds it turns off. It still turns on while plugged in but will shut off right away. Any help? Have you tried a factory reset? If so, then the best bet is to take this device to a repair shop. Thanks for your comment. I have a Samsung Galaxy S6 that won’t charge at all. I have tried different chargers and the wireless charger but still nothing. Any idea what caused this? I have a s6 that won’t charge at all, I’ve tried different chargers, different wall sockets, and a wireless charger to no avail. When I plug it in the battery symbol will come up but after 7 seconds it turns off. It still turns on while plugged in but will shut off right away. Any help? I don’t know what’s up with mine normal s6 ….first problem was it stopped fast charging…I’ve tried another charger off my s6 edge but now it won’t charge at all unless I restart the phone??? My only way out is either go wireless or new charge port replace…any idea how much that cost? Galaxy S6 Wireless Chargers on Amazon at reasonable prices. Thanks for your comment. This seems to be a hardware problem given that you’ve factory reset and tried different chargers & sockets. Perhaps you ought to take it to a repair shop before purchasing any of the above parts. When I try to charge my galaxy s6 it only gets hot and doesn’t turn on. Try the tips outlined in this tutorial. Adjust as per your specific device. If your Galaxy S6 still won’t turn on or charge then take it to a repair shop. Thanks for your comment. Day 1: Everything works fine. Day 2: Turned off the phone after morning use because mobile phones were not allowed. Powered on the phone in the late afternoon and resumed regular/general use through the evening. Since I had the phone set to off the better part of the day, I was able to watch my videos via plugged thumb drive until late evening hours. Then when plugged in for overnight charging, nothing. I experienced the gray battery with the lightning bolt and the main screen alerting “battery critically low” then shuts down. Troubleshooting by trying a different outlet, USB-wall socket dongles, and USB cables. Never charged or recognized USB plugged into S6. Connecting to computer yielded nil results. Day 3: Repeated troubleshooting process and figured that it was the S6 port at fault. Repeated Reset, and Wiping cache process. Even went as far to enter ODIN mode and exit. #9900# code does not work with S6 regardless of having Developer option accessible or not. Relocated to a Starbucks to attempt wireless recharge. That worked! Sitting here for a few hours now waiting for wireless recharging to complete to 100%. Thus far attempted to replug-in both USB cables to the computer but neither acknowledged by S6 as compared to what usually happens: the USB icon pops up and ask option of connecting for MTP (media transfer protocol) or PTP (photos transfer protocol). This means, of course, I cannot even backup onto the computer if I must factory reset. S6 is not charging via USB port. Option to connect to PC/Mac via USB port is unavailable. BUT when I plug in a thumb drive, with the micro-USB connector, the USB icon pops up in Notification and the usual switch to accessing the thumb drive is open. If S6 recognizes and allows access of thumb drive connected by micro-USB, but does not recognize any USB cable whether plugged into a computer or power outlet, then does that mean the S6’s “power pin” is the only damaged item leaving just the “data pins” working? Update: When connecting USB cable with my portable battery, the phone is recharging. In other words, the S6 pocket battery USB cable charges the phone. So, for some reason, S6 does not recognize the USB cable when connected to either a PC/Mac or the wall outlet. Advise, please, on how to restore, repair to S6 recognizing USB cable when connected to computer or wall power outlet AND assuming factory reset will not work. You Galaxy S6 charging problem is a complex one! Without being able to inspect the device, I’m afraid that there is not much that I can do outside of what we mention in the Galaxy S6 Won’t Charge: How to Fix tutorial above. My best advice would be to take the Galaxy S6 to a repair shop for a hands-on evaluation. Thank you for your comment, and I hope that you resolve your charging issue. 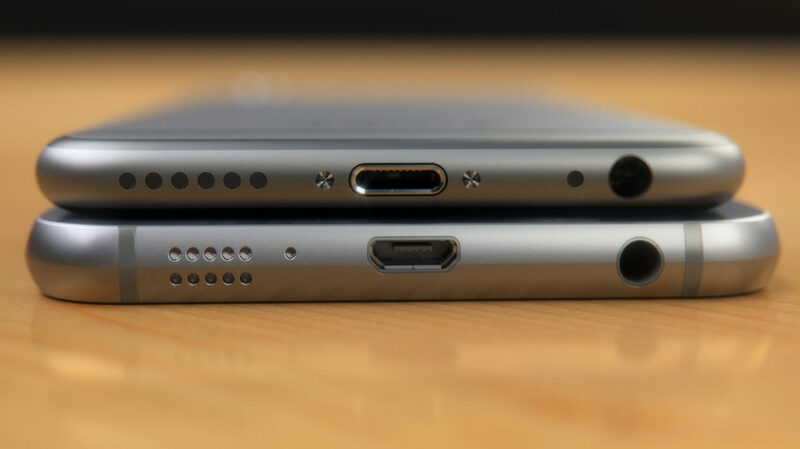 Have you tried inspecting the Galaxy S6 charging port? If you’ve tried all of these tips then I think it is time to take the phone to a repair shop or look into buying a new one. Cost effective if it’s a brick I suppose. Thanks for your comment Bill. Brick or not, these are useful tips for any Galaxy S6 that’s not charging properly. solution: try plug in and plug out very fast several times. try it until green dot apears under bolt. this will fix it. trust me. My galaxy s6 will not charge with ANY cord (not even the samsung one) , wont even charge with my wireless charging pad anymore… any help or tips? I was in pain for two good weeks without my I-phone besides me, i could not call, text or browse just because my I-phone was locked, i tried different means in opening the phone, but all to no avail, until my friend introduced me to a man named Mr donald , he told me that i shoud contact him via this email address Donaldfranktelecom@yahoo.com and and i should do what so ever he tells me to that all will be well, at first i doubted him, but as time went on i could not hold it any longer , and i contacted him, and instructed me to do what so ever he tells me to, and behold after the next 45mins, i got an email that my phone has been unblocked, i was the most happiest man on earth because i could feel my phone right back in my palm. For any I-phone issues you can contact contact him VIA this email: Donaldfranktelecom@yahoo.com or call him through this number +2348138900575…….. I tried everything suggested after my 8 month old S6 refused to charge or stopped charging after a few seconds. The screen would momentarily go very bright and then go black. They grey battery symbol with the flash in it would come on for a couple of seconds. Strangely I would get a little white ‘X’ in the bottom left corner for half a second. Then a ‘X’ in the bottom right corner for half a second. Then all black and charging would stop. I tried different sockets, different chargers and different USB leads. All to no avail. Finally I prepared to do a back up of the phone but the pc could not see it as being connected. So I took out the sim card (forgetting that it wasn’t the sd card as there isn’t one on the S6). I cleaned the gold contacts of the sim and refitted it into my phone. hey presto the phone is now charging – yayy. My wife does this when her Nokia / Microsoft phones have frozen in the past. Every time it solves her issue. Strange but true.